The US has been fighting a global war on drugs for decades. But as prison populations and financial costs increase and drug-related violence around the world continues, lawmakers and experts are reconsidering if the drug war’s potential benefits are really worth its many drawbacks. Over the next couple decades, particularly under the Reagan administration, what followed was the escalation of global military and police efforts against drugs. But in that process, the drug war led to unintended consequences that have proliferated violence around the world and contributed to mass incarceration in the US, even if it has made drugs less accessible and reduced potential levels of drug abuse. 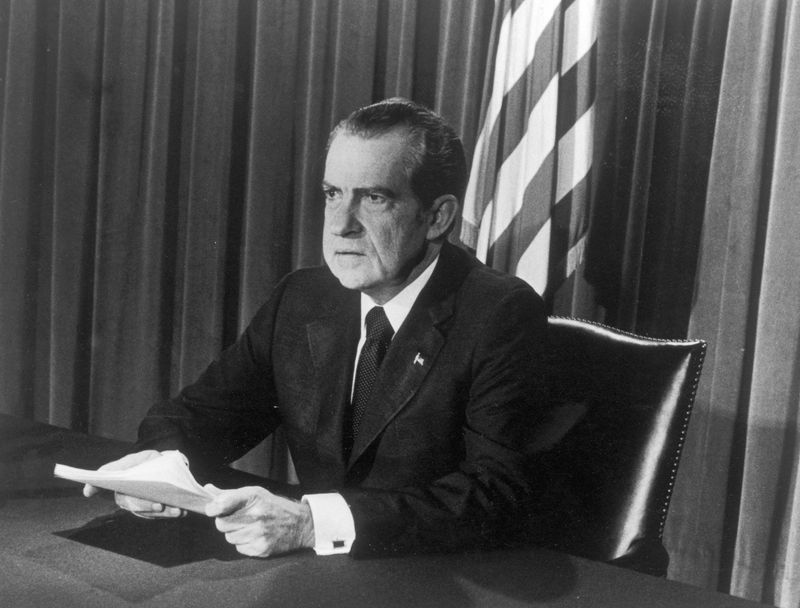 Nixon inaugurated the war on drugs at a time when America was in hysterics over widespread drug use. Drug use had become more public and prevalent during the 1960s due in part to the counterculture movement, and many Americans felt that drug use had become a serious threat to the country and its moral standing. 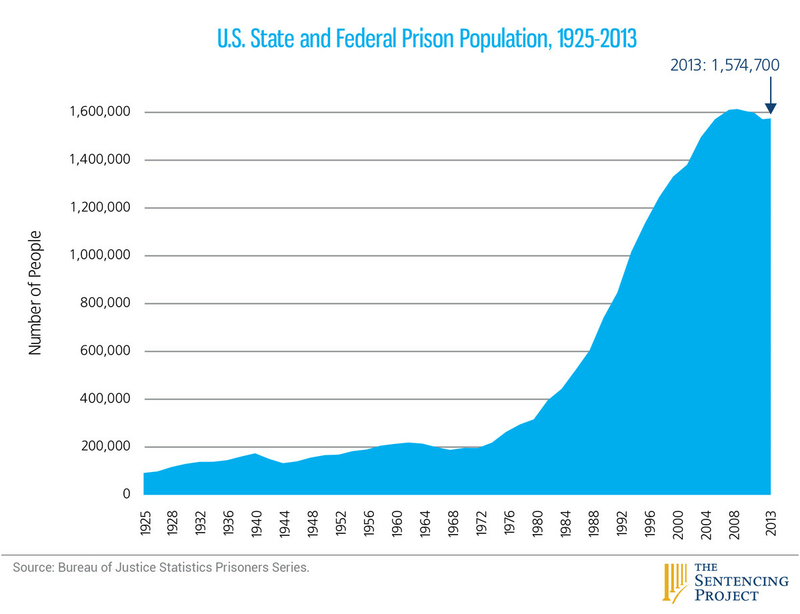 Over the past four decades, the US has committed more than $1 trillion to the war on drugs. But the crackdown has in some ways failed to produce the desired results: Drug use remains a very serious problem in the US, even though the drug war has made these substances less accessible. The drug war also led to several — some unintended — negative consequences, including a big strain on America’s criminal justice system and the proliferation of drug-related violence around the world. While Nixon began the modern war on drugs, America has a long history of trying to control the use of certain drugs. Laws passed in the early 20th century attempted to restrict drug production and sales. Some of this history is racially tinged, and, perhaps as a result, the war on drugs has long hit minority communities the hardest. In response to the failures and unintended consequences, many drug policy experts and historians have called for reforms: a larger focus on rehabilitation, the decriminalization of currently illicit substances, and even the legalization of all drugs. The question with these policies, as with the drug war more broadly, is whether the risks and costs are worth the benefits. Drug policy is often described as choosing between a bunch of bad or mediocre options, rather than finding the perfect solution. In the case of the war on drugs, the question is whether the very real drawbacks of prohibition — more racially skewed arrests, drug-related violence around the world, and financial costs — are worth the potential gains from outlawing and hopefully depressing drug abuse in the US. The goal of the war on drugs is to reduce drug use. The specific aim is to destroy and inhibit the international drug trade — making drugs scarcer and costlier, and therefore making drug habits in the US unaffordable. And although some of the data shows drugs getting cheaper, drug policy experts generally believe that the drug war is nonetheless preventing some drug abuse by making the substances less accessible. The prices of most drugs, as tracked by the Office of National Drug Control Policy, have plummeted. Between 1981 and 2007, the median bulk price of heroin is down by roughly 93 percent, and the median bulk price of powder cocaine is down by about 87 percent. Between 1986 and 2007, the median bulk price of crack cocaine fell by around 54 percent. 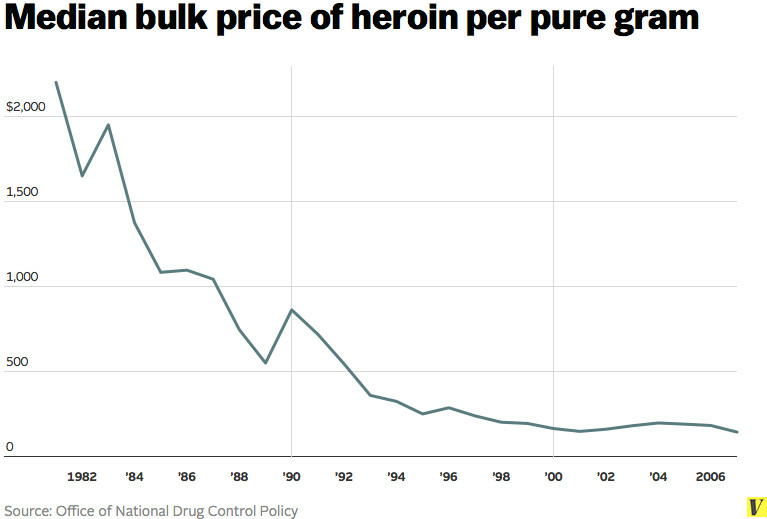 The prices of meth and marijuana, meanwhile, have remained largely stable since the 1980s. Much of this is explained by what’s known as the balloon effect: Cracking down on drugs in one area doesn’t necessarily reduce the overall supply of drugs. Instead, drug production and trafficking shift elsewhere, because the drug trade is so lucrative that someone will always want to take it up — particularly in countries where the drug trade might be one of the only economic opportunities and governments won’t be strong enough to suppress the drug trade. The balloon effect has been documented in multiple instances, including Peru and Bolivia to Colombia in the 1990s, the Netherlands Antilles to West Africa in the early 2000s, and Colombia and Mexico to El Salvador, Honduras, and Guatemala in the 2000s and 2010s. Sometimes the drug war has failed to push down production altogether, like in Afghanistan. The US spent $7.6 billion between 2002 and 2014 to crack down on opium in Afghanistan, where a bulk of the world’s supply for heroin comes from. Despite the efforts, Afghanistan’s opium poppy crop cultivation reached record levels in 2013. On the demand side, illicit drug use has dramatically fluctuated since the drug war began. 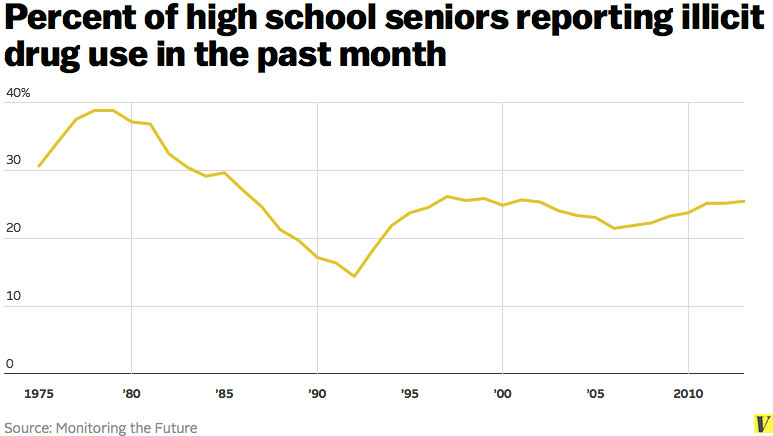 The Monitoring the Future survey, which tracks illicit drug use among high school students, offers a useful proxy: In 1975, four years after President Richard Nixon launched the war on drugs, 30.7 percent of high school seniors reportedly used drugs in the previous month. In 1992, the rate was 14.4 percent. In 2013, it was back up to 25.5 percent. Still, prohibition does likely make drugs less accessible than they would be if they were legal. A 2014 study by Jon Caulkins, a drug policy expert at Carnegie Mellon University, suggested that prohibition multiplies the price of hard drugs like cocaine by as much as 10 times. And illicit drugs obviously aren’t available through easy means — one can’t just walk into a CVS and buy heroin. So the drug war is likely stopping some drug use: Caulkins estimates that legalization could lead hard drug abuse to triple, although he told me it could go much higher. But there’s also evidence that the drug war is too punitive: A 2014 study from Peter Reuter at the University of Maryland and Harold Pollack at the University of Chicago found there’s no good evidence that tougher punishments or harsher supply-elimination efforts do a better job of pushing down access to drugs and substance abuse than lighter penalties. So increasing the severity of the punishment doesn’t do much, if anything, to slow the flow of drugs. Instead, most of the reduction in accessibility from the drug war appears to be a result of the simple fact that drugs are illegal, which by itself makes drugs more expensive and less accessible by eliminating avenues toward mass production and distribution. The question is whether the possible reduction of potential drug use is worth the drawbacks that come in other areas, including a strained criminal justice system and the global proliferation of violence fueled by illegal drug markets. If the drug war has failed to significantly reduce drug use, production, and trafficking, then perhaps it’s not worth these costs, and a new approach is preferable. How does the US decide which drugs are regulated or banned? The US uses what’s called the drug scheduling system. Under the Controlled Substances Act, there are five categories of controlled substances known as schedules, which weigh a drug’s medical value and abuse potential. Medical value is typically evaluated through scientific research, particularly large-scale clinical trials similar to those used by the Food and Drug Administration for pharmaceuticals. Potential for abuse isn’t clearly defined by the Controlled Substances Act, but for the federal government, abuse is when individuals take a substance on their own initiative, leading to personal health hazards or dangers to society as a whole. Under this system, Schedule 1 drugs are considered to have no medical value and a high potential for abuse. Schedule 2 drugs have high potential for abuse but some medical value. As the rank goes down to Schedule 5, a drug’s potential for abuse generally decreases. It may be helpful to think of the scheduling system as made up of two distinct groups: nonmedical and medical. The nonmedical group is the Schedule 1 drugs, which are considered to have no medical value and high potential for abuse. The medical group is the Schedule 2 to 5 drugs, which have some medical value and are numerically ranked based on abuse potential (from high to low). Marijuana and heroin are Schedule 1 drugs, so the federal government says they have no medical value and a high potential for abuse. Cocaine, meth, and opioid painkillers are Schedule 2 drugs, so they’re considered to have some medical value and high potential for abuse. Steroids and testosterone products are Schedule 3, Xanax and Valium are Schedule 4, and cough preparations with limited amounts of codeine are Schedule 5. Congress specifically exempted alcohol and tobacco from the schedules in 1970. Although these schedules help shape criminal penalties for illicit drug possession and sales, they’re not always the final word. Congress, for instance, massively increased penalties against crack cocaine in 1986 in response to concerns about a crack epidemic and its potential link to crime. And state governments can set up their own criminal penalties and schedules for drugs as well. Other countries, like the UK and Australia, use similar systems to the US, although their specific rankings for some drugs differ. How does the US enforce the war on drugs? The US fights the war on drugs both domestically and overseas. On the domestic front, the federal government supplies local and state police departments with funds, legal flexibility, and special equipment to crack down on illicit drugs. Local and state police then use this funding to go after drug dealing organizations. Some of the funding, particularly from the Byrne Justice Assistance Grant program, encourages local and state police to participate in anti-drug operations. If police don’t use the money to go after illicit substances, they risk losing it — providing a financial incentive for cops to continue the war on drugs. Although the focus is on criminal groups, casual users still get caught in the criminal justice system. Between 1999 and 2007, Human Rights Watch found at least 80 percent of drug-related arrests were for possession, not sales. It seems, however, that arrests for possession don’t typically turn into convictions and prison time. According to federal statistics, only 5.3 percent of drug offenders in federal prisons and 27.9 percent of drug offenders in state prisons in 2004 were in for drug possession. The overwhelming majority were in for trafficking, and a small few were in for an unspecified “other” category. 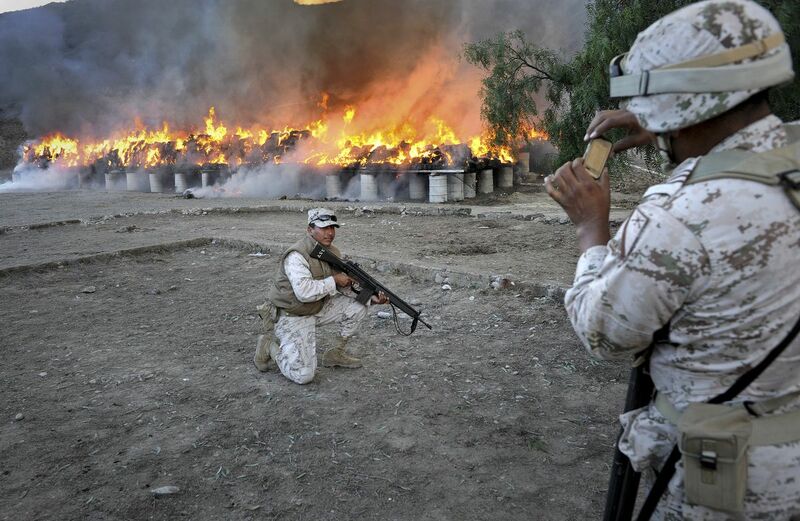 Mexican officials incinerate 130 tons of seized marijuana. Internationally, the US regularly aids other countries in their efforts to crack down on drugs. For example, the US in the 2000s provided military aid and training to Colombia — in what’s known as Plan Colombia — to help the Latin American country go after criminal organizations and paramilitaries funded through drug trafficking. Federal officials argue that helping countries like Colombia attacks the source of illicit drugs, since such substances are often produced in Latin America and shipped north to the US. But the international efforts have consistently displaced, not eliminated, drug trafficking — and the violence that comes with it — to other countries. Given the struggles of the war on drugs to meet its goals, federal and state officials have begun moving away from harsh enforcement tactics and tough-on-crime stances. The White House Office of National Drug Control Policy now advocates for a bigger focus on rehabilitation and less on law enforcement. 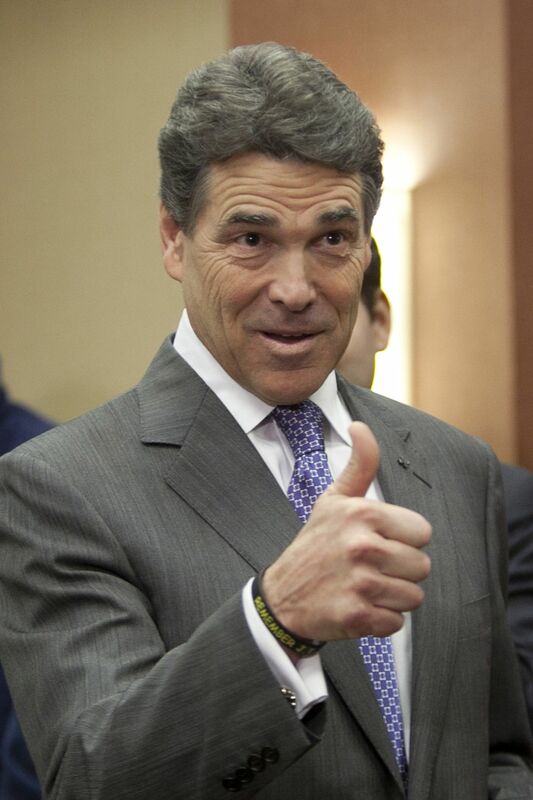 Even some conservatives, like former Texas Governor Rick Perry, have embraced drug courts, which place drug offenders into rehabilitation programs instead of jail or prison. How has the war on drugs changed the US criminal justice system? The escalation of the criminal justice system’s reach over the past few decades, ranging from more incarceration to seizures of private property and militarization, can be traced back to the war on drugs. Still, mass incarceration has massively strained the criminal justice system and led to a lot of overcrowding in US prisons — to the point that some states, such as California, have rolled back penalties for nonviolent drug users and sellers with the explicit goal of reducing their incarcerated population. In terms of police powers, civil asset forfeitures have been justified as a way to go after drug dealing organizations. These forfeitures allow law enforcement agencies to take the organizations’ assets — cash in particular — and then use the gains to fund more anti-drug operations. The idea is to turn drug dealers’ ill-gotten gains against them. But there have been many documented cases in which police abused civil asset forfeiture, including instances in which police took people’s cars and cash simply because they suspected — but couldn’t prove — that there was some sort of illegal activity going on. In these cases, it’s actually up to people whose private property was taken to prove that they weren’t doing anything illegal — instead of traditional legal standards in which police have to prove wrongdoing or reasonable suspicion of it before they act. Similarly, the federal government helped militarize local and state police departments in an attempt to better equip them in the fight against drugs. The Pentagon’s 1033 program, which gives surplus military-grade equipment to police, was created in the 1990s as part of President George HW Bush’s escalation of the war on drugs. 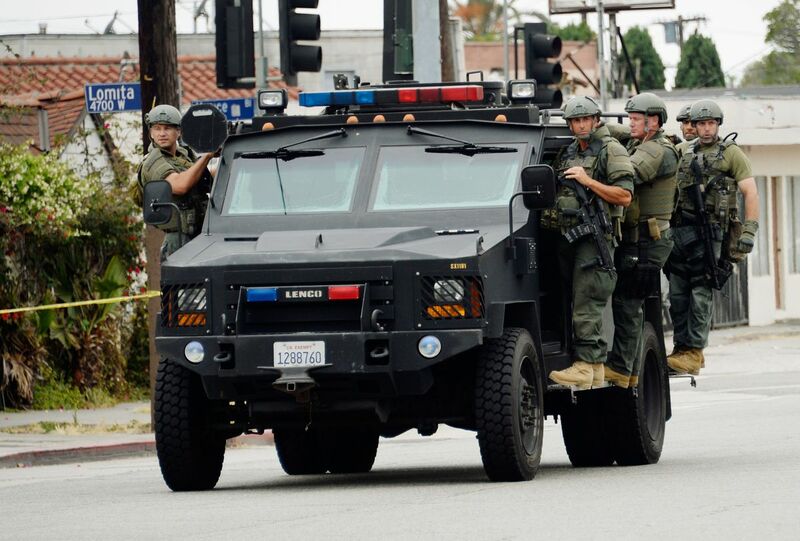 The deployment of SWAT teams, as reported by the ACLU, also increased during the past few decades, and 62 percent of SWAT raids in 2011 and 2012 were for drug searches. Various groups have complained that these increases in police power are often abused and misused. The ACLU, for instance, argues that civil asset forfeitures threaten Americans’ civil liberties and property rights, because police can often seize assets without even filing charges. Such seizures also might encourage police to focus on drug crimes, since a raid can result in actual cash that goes back to the police department, while a violent crime conviction likely would not. The libertarian Cato Institute has also criticized the war on drugs for decades, because anti-drug efforts gave cover to a huge expansion of law enforcement’s surveillance capabilities, including wiretaps and US mail searches. The militarization of police became a particular sticking point during the 2014 protests in Ferguson, Missouri, over the police shooting of Michael Brown. After heavily armed police responded to largely peaceful protesters with armored vehicle that resemble tanks, tear gas, and sound cannons, law enforcement experts and journalists criticized the tactics. Since the beginning of the war on drugs, the general trend has been to massively grow police powers and expand the criminal justice system as a means of combating drug use. But as the drug war struggles to halt drug use and trafficking, the heavy-handed policies — which many describe as draconian — have been called into question. If the war on drugs isn’t meeting its goals, critics say these expansions of the criminal justice system aren’t worth the financial strain and costs to liberty in the US. How has the drug war contributed to violence around the world? The war on drugs has created a black market for illicit drugs that criminal organizations around the world can rely on for revenue that payrolls other, more violent activities. This market supplies so much revenue that drug trafficking organizations can actually rival developing countries’ weak government institutions. In Mexico, for example, drug cartels have leveraged their profits from the drug trade to violently maintain their stranglehold over the market despite the government’s war on drugs. As a result, public decapitations have become a particularly prominent tactic of ruthless drug cartels. As many as 80,000 people have died in the war. Tens of thousands of people have gone missing since 2007, including 43 students who vanished in 2014 in a widely publicized case. But even if Mexico were to actually defeat drug cartels, this potentially wouldn’t reduce drug war violence on a global scale. Instead, drug production and trafficking, and the violence that comes with both, would likely shift elsewhere, because the drug trade is so lucrative that someone will always want to take it up — particularly in countries where the drug trade might be one of the only economic opportunities and governments won’t be strong enough to suppress the drug trade. In 2014, for instance, the drug war significantly contributed to the child migrant crisis. 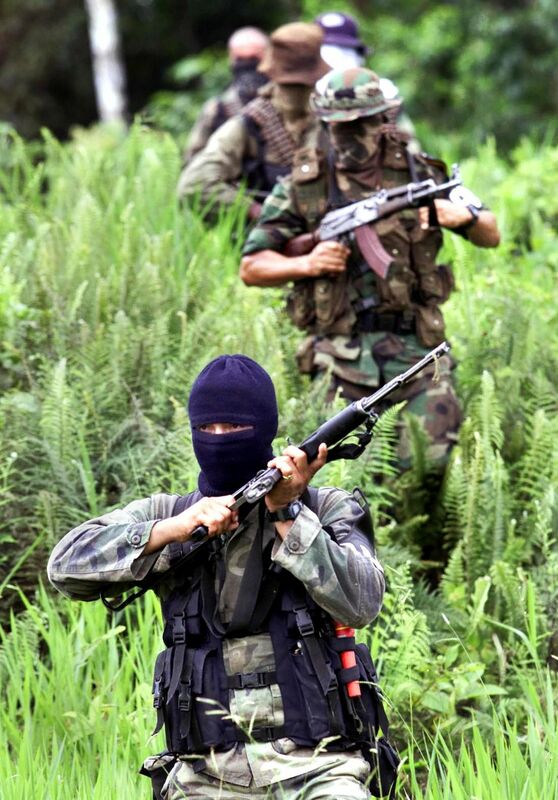 After some drug trafficking was pushed out of Mexico, gangs and drug cartels stepped up their operations in Central America’s Northern Triangle of El Salvador, Honduras, and Guatemala. These countries, with their weak criminal justice and law enforcement systems, didn’t seem to have the capacity to deal with the influx of violence and crime. As a result, children fled their countries by the thousands in a major humanitarian crisis. Many of these children ended up in the US, where the refugee system simply doesn’t have the capacity to handle the rush of child migrants. Although the child migrant crisis is fairly unique in its specific circumstances and effects, the series of events — a government cracks down on drugs, trafficking moves to another country, and the drug trade brings violence and crime — is pretty typical in the history of the war on drugs. In the past couple of decades it happened in Colombia, Mexico, Venezuela, and Ecuador after successful anti-drug crackdowns in other Latin American countries. 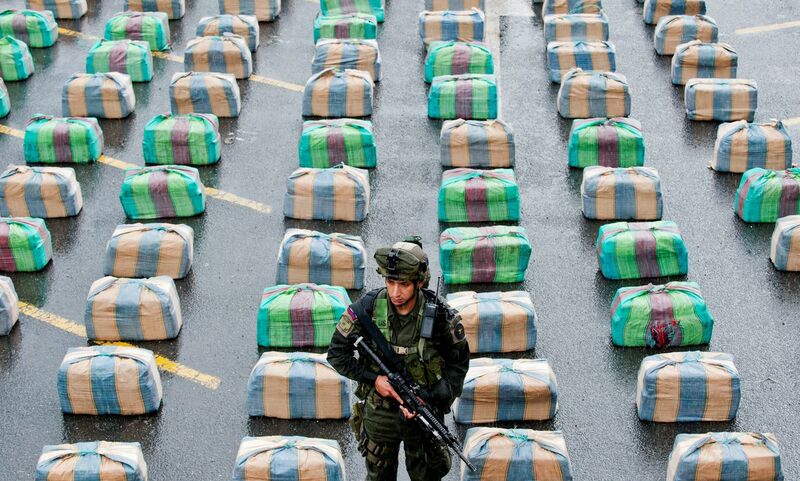 Ironically, the shift is partly a by-product of a drug-war success story, Plan Colombia. In a little over a decade, the U.S. spent nearly $8 billion to back Colombia’s efforts to eradicate coca fields, arrest traffickers and battle drug-funded guerrilla armies such as the Revolutionary Armed Forces of Colombia, or FARC. 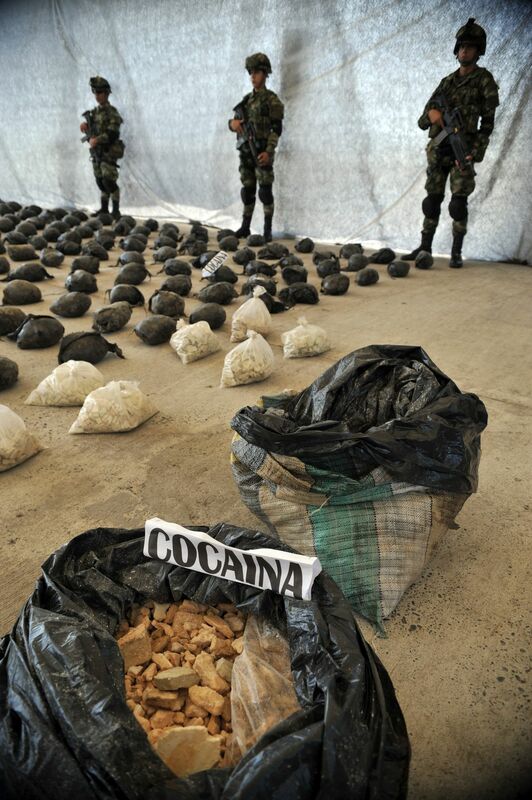 Colombian cocaine production declined, the murder rate plunged and the FARC is on the run. But traffickers adjusted. Cartels moved south across the Ecuadorean border to set up new storage facilities and pioneer new smuggling routes from Ecuador’s Pacific coast. Colombia’s neighbor to the east, Venezuela, is now the departure point for half of the cocaine going to Europe by sea. This global proliferation of violence is one of the most prominent costs of the drug war. When evaluating whether the war on drugs has been successful, experts and historians weigh this cost, along with the rise of incarceration in the US, against the benefits, such as potentially depressed drug use, to gauge whether anti-drug efforts have been worth it. How much does the war on drugs cost? Enforcing the war on drugs costs the US more than $51 billion each year, according to the Drug Policy Alliance. As of 2012, the US had spent $1 trillion on anti-drug efforts. The spending estimates don’t account for the loss of potential taxes on currently illegal substances. According to a 2010 paper from the libertarian Cato Institute, taxing and regulating illicit drugs similarly to tobacco and alcohol could raise $46.7 billion in tax revenue each year. These annual costs — the spending, the lost potential taxes — add up to nearly 2 percent of state and federal budgets, which totaled an estimated $6.1 trillion in 2013. That’s not a huge amount of money, but it may not be worth the cost if the war on drugs is leading to drug-related violence around the world and isn’t significantly reducing drug abuse. 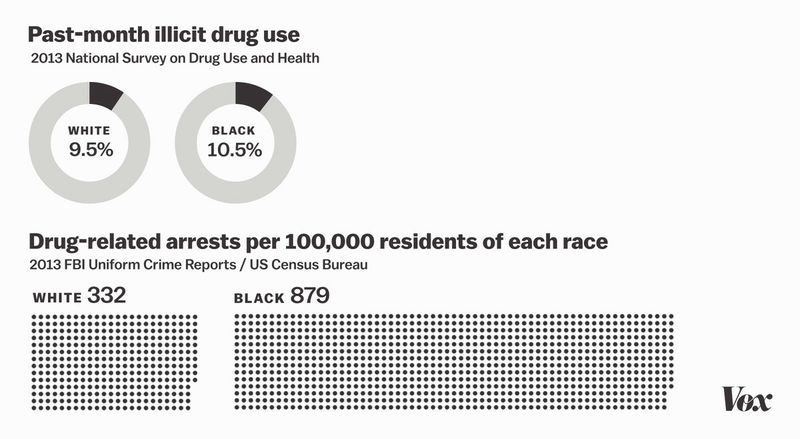 In the US, the war on drugs mostly impacts minority, particularly black, communities. This disproportionate effect is why critics often call the war on drugs racist. Although black communities aren’t more likely to use or sell drugs, they are much more likely to be arrested and incarcerated for drug offenses. When black defendants are convicted for drug crimes, they face longer prison sentences as well. Drug sentences for black men were 13.1 percent longer than drug sentences for white men between 2007 and 2009, according to a 2012 report from the US Sentencing Commission. One example: Trafficking crack cocaine, one of the few illicit drugs that’s more popular among black Americans, carries the harshest punishment. The threshold for a five-year mandatory minimum sentence of crack is 28 grams. In comparison, the threshold for powder cocaine, which is more popular among white than black Americans but pharmacoligically similar to crack, is 500 grams. As for the broader racial disparities, federal programs that encourage local and state police departments to crack down on drugs may create perverse incentives to go after minority communities. Some federal grants, for instance, previously required police to make more drug arrests in order to obtain more funding for anti-drug efforts. Neill Franklin, a retired police major from Maryland and executive director of Law Enforcement Against Prohibition, said minority communities are “the low-hanging fruit” for police departments because they tend to sell in open-air markets, such as public street corners, and have less political and financial power than white Americans. 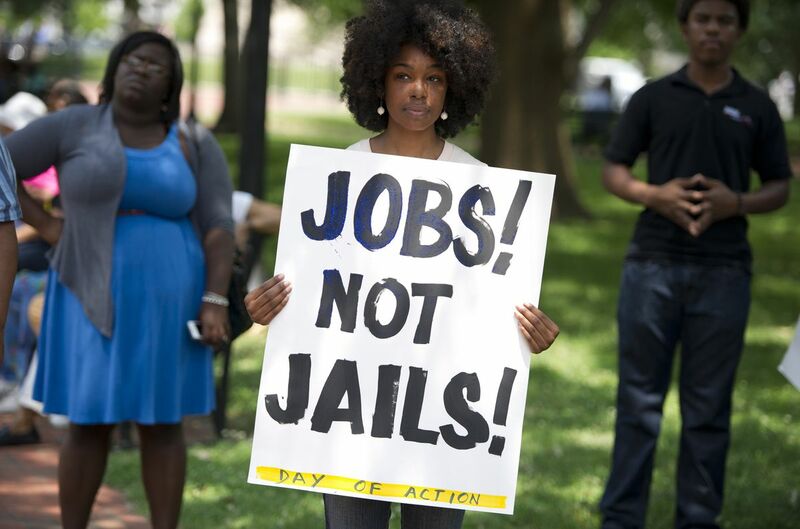 The disproportionate arrest and incarceration rates have clearly detrimental effects on minority communities. A 2014 study published in the journal Sociological Science found boys with imprisoned fathers are much less likely to possess the behavioral skills needed to succeed in school by the age of 5, starting them on a vicious path known as the school-to-prison pipeline. As the drug war continues, these racial disparities have become one of the major points of criticism against it. It’s not just whether the war on drugs has led to the widespread, costly incarceration of millions of Americans, but whether incarceration has created “the new Jim Crow” — a reference to policies, such as segregation and voting restrictions, that subjugated black communities in America. What are the roots of the war on drugs? Beyond the goal of curtailing drug use, the motivations behind the US war on drugs have been rooted in historical fears of immigrants and minority groups. 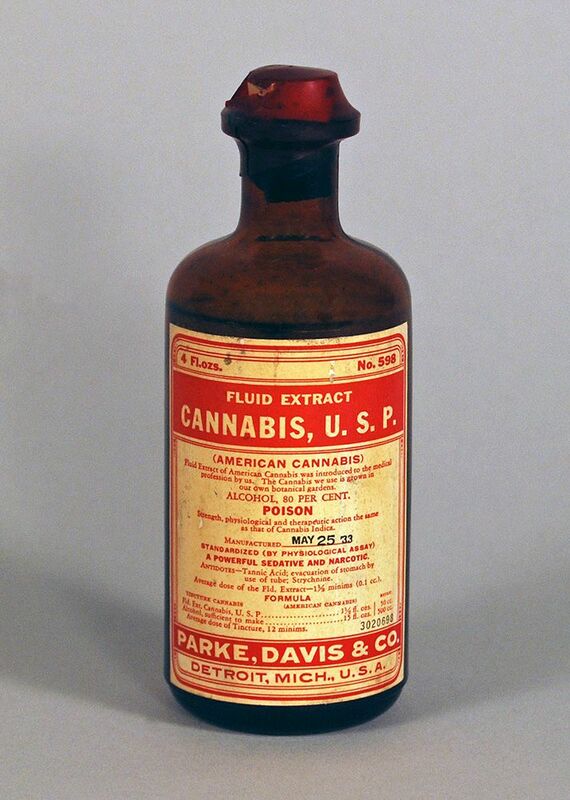 The US began regulating and restricting drugs during the first half of the 20th century, particularly through the Pure Food and Drug Act of 1906, the Harrison Narcotics Tax Act of 1914, and the Marijuana Tax Act of 1937. During this period, racial and ethnic tensions were particularly high across the country — not just toward African Americans, but toward Mexican and Chinese immigrants as well. As the New York Times explained, the federal prohibition of marijuana came during a period of national hysteria about the effect of the drug on Mexican immigrants and black communities. 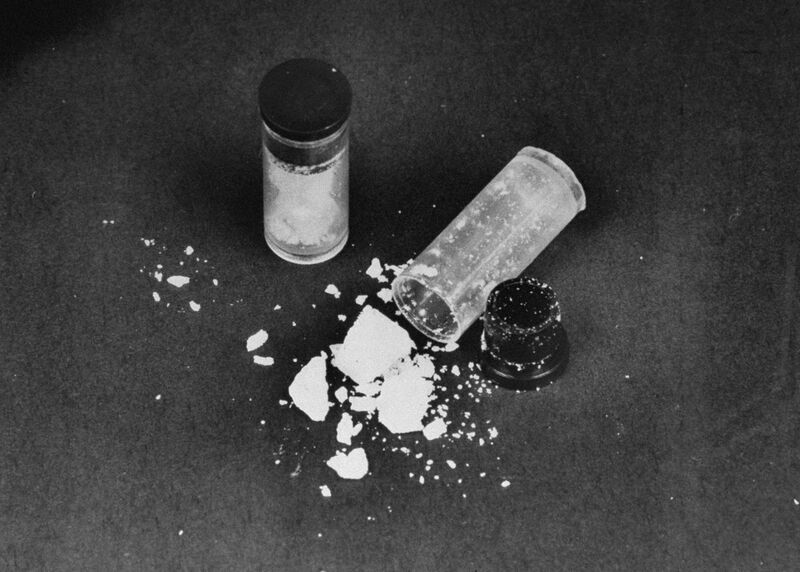 Concerns about a new, exotic drug, coupled with feelings of xenophobia and racism that were all too common in the 1930s, drove law enforcement, the broader public, and eventually legislators to demand the drug’s prohibition. “Police in Texas border towns demonized the plant in racial terms as the drug of ‘immoral’ populations who were promptly labeled ‘fiends,'” wrote the Times’s Brent Staples. These beliefs extended to practically all forms of drug prohibition. 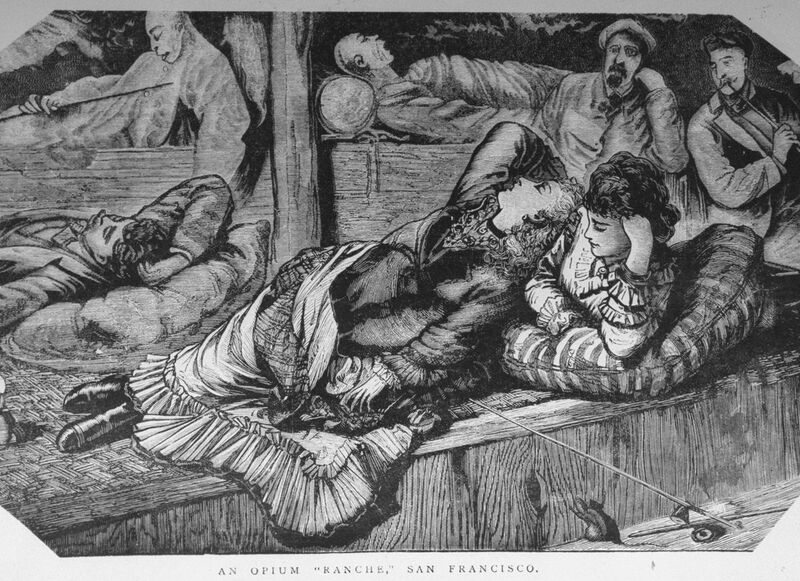 According to historian Peter Knight, opium largely came over to America with Chinese immigrants on the West Coast. Americans, already skeptical of the drug, quickly latched on to xenophobic beliefs that opium somehow made Chinese immigrants dangerous. “Stories of Chinese immigrants who lured white females into prostitution, along with the media depictions of the Chinese as depraved and unclean, bolstered the enactment of anti-opium laws in eleven states between 1877 and 1900,” Knight wrote. None of this means the war on drugs is solely driven by fears of immigrants and minorities, and many people are genuinely concerned about drugs’ effects on individuals and society. But when it comes to the war on drugs, the historical accounts suggest the harshest crackdowns often follow hysteria linked to minority drug use — making the racial disparitiesin the drug war seem like a natural consequence of anti-drug efforts’ roots. 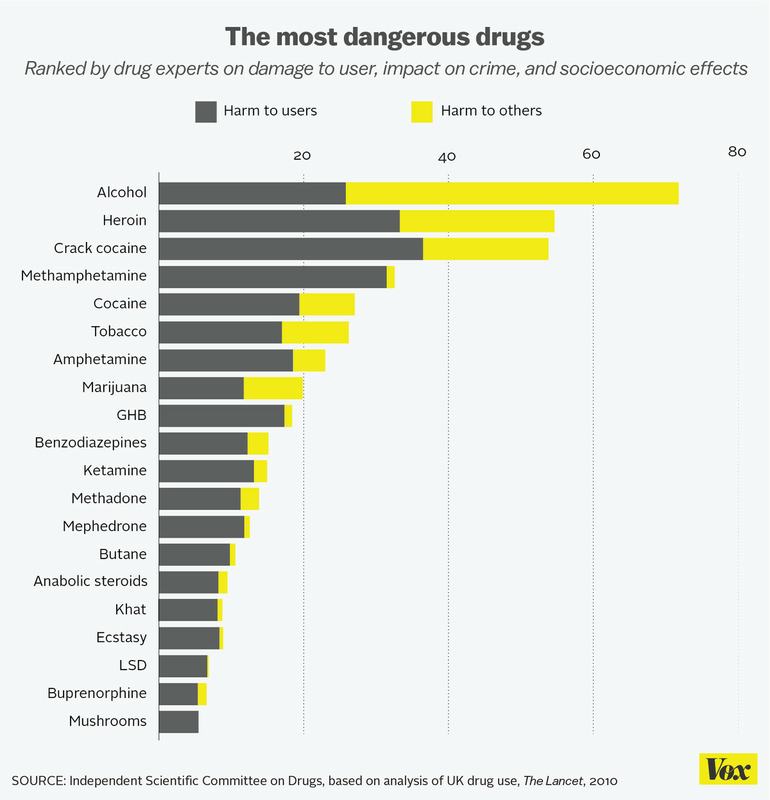 What are the most dangerous drugs? This is actually a fairly controversial question among drug policy experts. Although some researchers have tried to rank drugs by their harms, some experts argue the rankings are often far more misleading than useful. In a report published in The Lancet, a group of researchers evaluated the harms of drug use in the UK, considering factors like deadliness, chance of developing dependence, behavioral changes such as increased risk of violence, and losses in economic productivity. Alcohol, heroin, and crack cocaine topped the chart. There are at least two huge caveats to this report. First, it doesn’t entirely control for the availability of these drugs, so it’s likely heroin and crack cocaine in particular would be ranked higher if they were as readily available as alcohol. Second, the scores were intended for British society, so the specific scores may differ slightly for the US. David Nutt, who led the analysis, suggested meth’s harm score could be much higher in the US, since it’s more widely used in America. But drug policy experts argue the study and ranking miss some of the nuance behind the harm of certain drugs. Jon Caulkins, a drug policy expert at Carnegie Mellon University, gave the example of an alien race visiting Earth and asking which land animal is the biggest. If the question is about weight, the African elephant is the biggest land animal. But if it’s about height, the giraffe is the biggest. And if the question is about length, the reticulated python is the biggest. The blunt measures of drug harms present similar issues. Alcohol, tobacco, and prescription painkillers are likely deadlier than other drugs because they are legal, so comparing their aggregate effects to illegal drugs is difficult. Some drugs are very harmful to individuals, but they’re so rarely used that they may not be a major public health threat. A few drugs are enormously dangerous in the short term but not so much the long term (heroin), or vice versa (tobacco). And looking at deaths or other harms caused by certain drugs doesn’t always account for substances, such as prescription medications, that are often mixed with others, making them more deadly or harmful than they would be alone. Given the diversity of drugs and their effects, many experts argue that trying to establish a ranking of the most dangerous drugs is a futile, misleading exercise. Instead of trying to base policy on a ranking, experts say, lawmakers should build individual policies that try to minimize each drug’s specific set of risks and harms. Why are alcohol and tobacco exempted from the war on drugs? 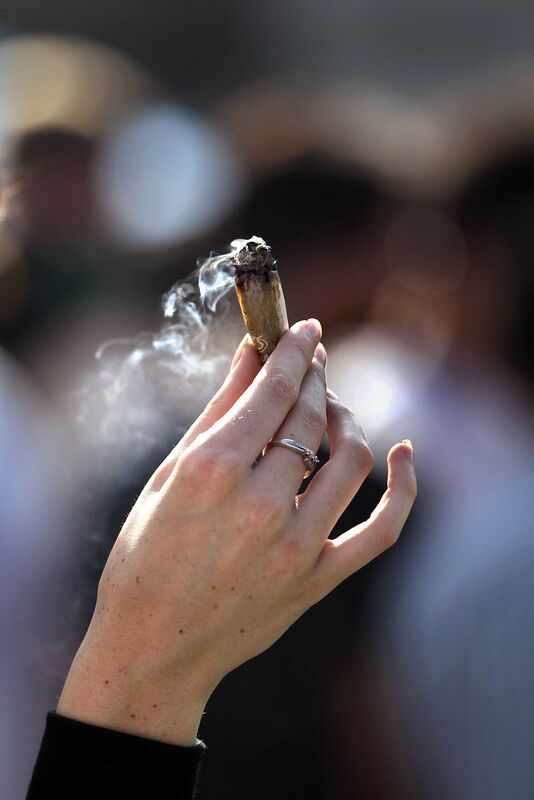 Tobacco and alcohol are explicitly exempted from drug scheduling, despite their detrimental impacts on individual health and society as a whole, due to economic and cultural reasons. Tobacco and alcohol have been acceptable drugs in US culture for hundreds of years, and they are stillthe most widely used drugs, along with caffeine, in the nation. Trying to stop Americans — through the threat of legal force — from using these drugs would likely result in an unmitigated policy disaster, simply because of their popularity and cultural acceptance. 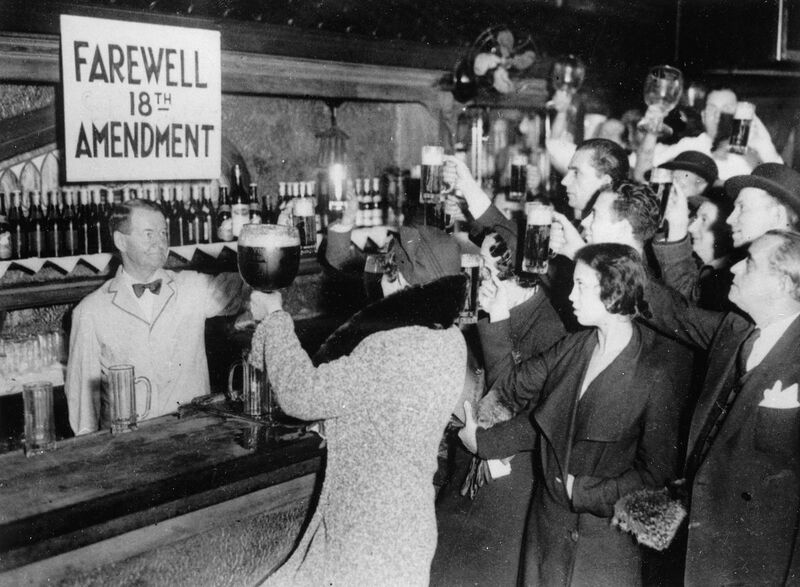 In fact, exactly that happened in the 1920s: In 1920, the federal government attempted to prohibit alcohol sales through the 18th Amendment. Experts and historians widely considerthis policy, popularly known as Prohibition, a failure and even a disaster, since it led to a massive black market for alcohol that funded criminal organizations across the US. It took Congress just 14 years to repeal Prohibition. Alcohol and tobacco are also major parts of the US economy. In 2013, alcohol sales totaled$124.7 billion (excluding purchases in bars and restaurants), and tobacco sales amounted to $108 billion. If lawmakers decided to prohibit and dismantle these legal industries, it would cost the economy billions of dollars and thousands of jobs. Lawmakers were well aware of these cultural and economic issues when they approved the Controlled Substances Act of 1970. So they exempted alcohol and tobacco from the definition of controlled substances. If these drugs weren’t exempted, tobacco and alcohol would likely be tightly controlled under the current scheduling regime. Mark Kleiman, one of the nation’s leading drug policy experts, argued both would be considered schedule 1 substances if they were evaluated today, since they’re highly abused, addictive, detrimental to one’s health and society, and have no established medical value. All of this gets to a key point about the war on drugs: Policymakers don’t evaluate drugs in a vacuum. They also consider the socioeconomic implications of banning a substance, and whether those potential drawbacks are worth the gains of potentially reducing substance use and abuse. But this type of analysis of the pros and cons is also why critics want to end the war on drugs today. Even if the drug war has successfully brought down drug use and abuse, its effects on budgets, civil rights, and international violence are so great and detrimental that the minor impact it may have on drug use might not be worth the costs. How much of the war on drugs is tied to international treaties? If lawmakers decided to stop the war on drugs tomorrow, a major hurdle could be international agreements that require restrictions and regulations on certain drugs. There are three major treaties: the Single Convention on Narcotic Drugs of 1961, the Convention on Psychotropic Drugs of 1971, and the UN Convention against Illicit Traffic in Narcotic Drugs and Psychotropic Substances of 1988. Combined, the treaties require participants to limit and even prohibit the possession, use, trade, and distribution of drugs outside of medical and scientific purposes, and work together to stop international drug trafficking. There is a lot of disagreement among drug policy experts, enforcers, and reformers about the stringency of the treaties. Several sections of the conventions allow countries some flexibility so they don’t violate their own constitutional protections. The US, for example, has never enforced penalties on inciting illicit drug use on the basis that it would violate rights to freedom of speech. Many argue that any move toward legalization of use, possession, and sales is in violation of international treaties. Under this argument, some governments — including several US states and Uruguay — are technically in violation of the treaties because they legalized marijuana for personal possession and sales. Others say that countries have a lot of flexibility due to the constitutional exemptions in the conventions. Countries could claim, for instance, that their protections for right to privacy and health allow them to legalize drugs despite the conventions. When it comes to individual states in the US, the federal government argues that America’s federalist system allows states some flexibility as long as the federal government keeps drugs illegal. Even if a country decided to dismantle prohibition and violate the treaties, it’s unclear how the international community would respond. If the US, for example, ended prohibition, there’s little other countries could do to interfere; there’s no international drug court, and sanctions would be very unlikely for a country as powerful as America. To resolve such issues, many critics of the war on drugs hope to reform international drug laws in 2016 during the next General Assembly Special Session on drugs. Until then, any country taking steps to revamp its drug policy regime could face criticisms and a loss of credibility from its international peers. How do other countries deal with drugs? China carries out some of the harshest punishments for illicit drug trafficking. In the lead-up to International Anti-Drug Day, Chinese officials unveiled executions and other harsh punishments for drug traffickers in 2014, 2013, 2012, 2010, and 2009. The United Kingdom maintains a classification system similar to America’s scheduling system, with criminal penalties set based on a drug’s classification. For example, selling class A substances can get someone up to life in prison, while class B sentences are limited to a maximum of 14 years. Portugal in 2001 decriminalized all drugs, including cocaine and heroin.A 2009 reportauthored by Glenn Greenwald for the libertarian Cato Institute found drug use fell among teenagers in Portugal following decriminalization, but use ticked up for young adults ages 20 to 24. 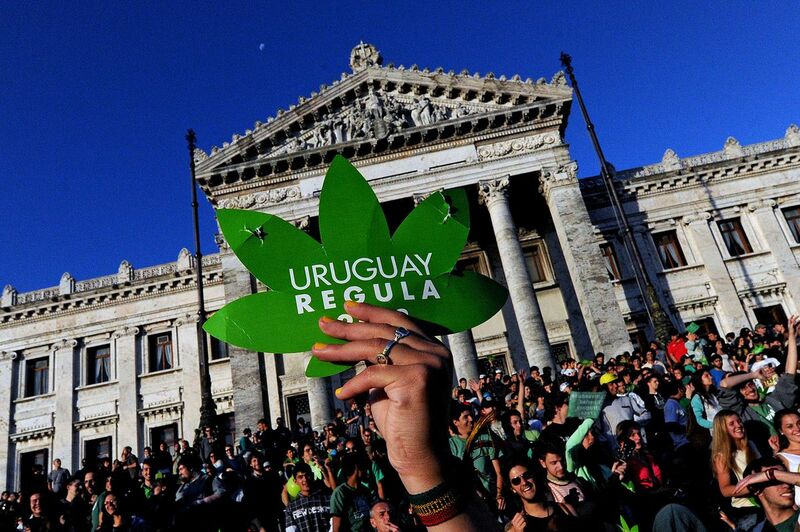 Uruguay in 2012 legalized marijuana for personal use and sales to eliminate a major source of revenue for violent drug cartels. 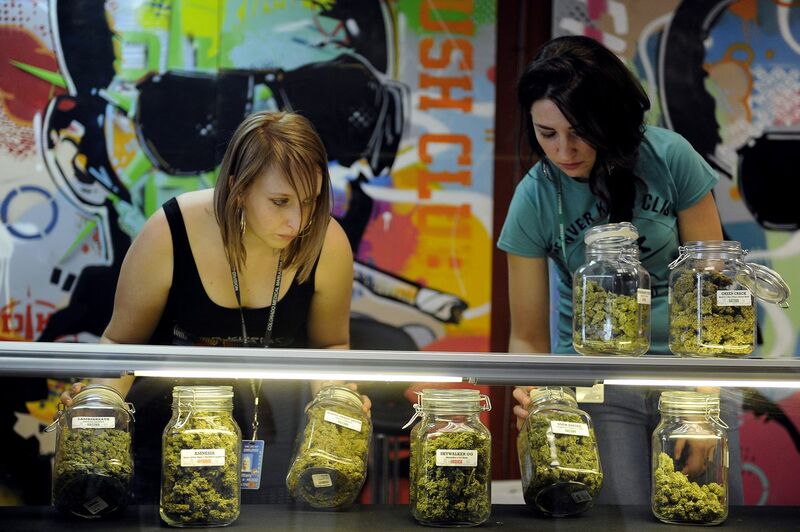 The government is now working to establish regulations for the sales and distribution of pot. The varied approaches show that even though the US has been a major leader in the global war on drugs, its model of combating drug use and trafficking domestically is hardly the only option. Other countries have looked at the pros and cons and decided on vastly different drug policy regimes, with varying degrees of success. What’s the case for focusing more on rehabilitation and addiction treatment? The most cautious reform to the drug war puts more emphasis on rehabilitation instead of locking up drug users in prison, but it does this without decriminalizing or legalizing drugs. Other countries have taken even more drastic steps toward rehabilitation, some of which acknowledge that not all addicts can be cured of drug dependency. Several European countries prescribe and administer, with supervision, heroin to a small number of addicts who prove resistant to other treatments. These programs allow some addicts to satisfy their drug dependency without a large risk of overdose and without resorting to other crimes to obtain drugs, such as robbery and burglary. 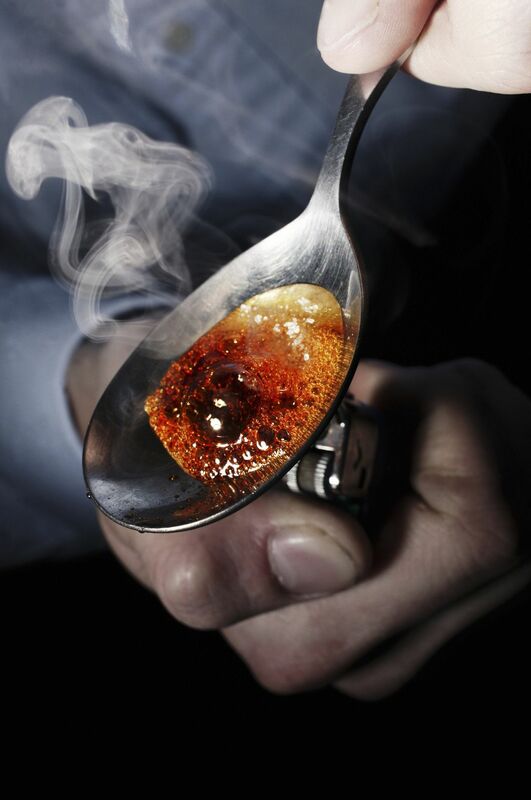 Researchers credit the heroin-assisted treatment program in Switzerland, the first national scheme of its kind, with reductions in drug-related crimes and improvements in social functioning, such as stabilized housing and employment. 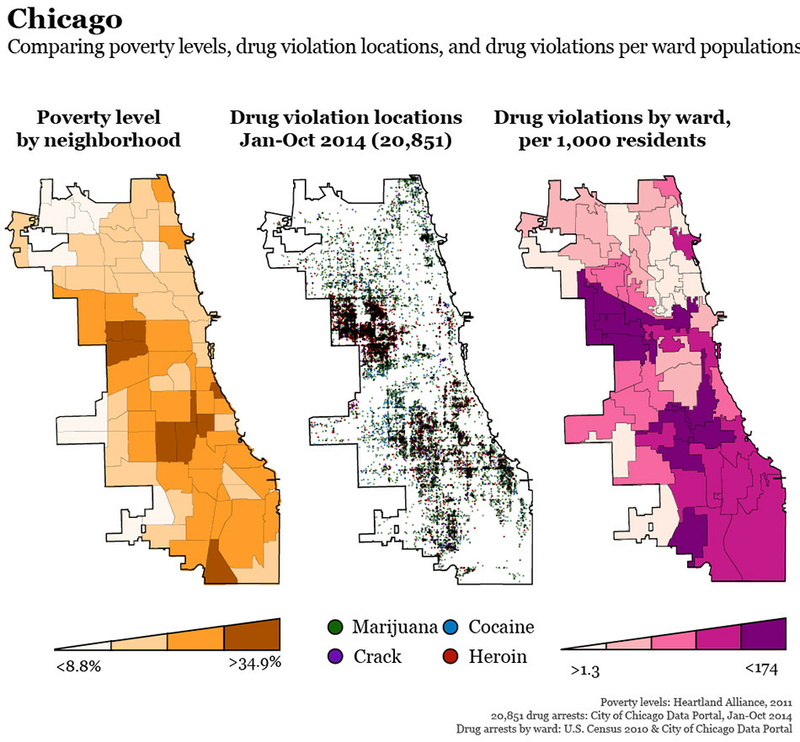 But some supporters of the war on drugs, such as the International Task Force on Strategic Drug Policy, argue that these programs give the false impression that drug habits can be managed safely, which could weaken the social stigma surrounding drug use and lead more people to try dangerous drugs. For drug policymakers, the question is whether potentially breaking this stigma — and perhaps leading to more drug use — is worth the benefit of getting more people the treatment they need. Generally, drug policy experts agree that this tradeoff is worth it. What’s the case for decriminalizing drugs? Pointing to the drug war’s failure to significantly reduce drug use, many drug policy experts argue that the criminalization of drug possession is flawed and has contributed to the massive rise of incarceration in the US. To these experts, the answer is decriminalizing all drug possession while keeping sales and trafficking illegal — a scheme that would, in theory, keep nonviolent drug users out of prison but still let law enforcement go after illicit drug supplies. Kleiman said decriminalization could be paired with a focus on rehabilitation. He advocated for policies like 24/7 Sobriety Programs that require twice-daily alcohol testing for every single person convicted of drunk driving; anyone who fails the test is swiftly sent to jail for a few days. In South Dakota, alcohol-related traffic deaths declined by 33 percent between 2006 and 2007 — the highest decrease in the nation — after implementation of a 24/7 Sobriety Program. In a paper, Kleiman analyzed a similar program in Hawaii for illicit drug users. Participants in that program had large reductions in positive drug tests and were significantly less likely to be arrested during follow-ups at three months, six months, and 12 months. As with heroin-assisted treatment programs, supporters of the war on drugs arguedecriminalization legitimizes and increases drug use by removing the social stigma attached to it. But the research doesn’t appear to support this point. The concern for decriminalization supporters is that letting businesses come in and sell drugs could lead to aggressive marketing and advertising, similar to how the alcohol industry behaves today. This could lead to more drug use, particularly among problem users who would likely make up most of the demand for drugs. The top 10 percent of alcohol drinkers, for example, account for more than half the alcohol consumed in any given year in the US. Decriminalization, then, is a bit of a compromise in reforming the war on drugs. It would reduce some of the incarceration caused by the drug war, but it would continue operations that seek to reduce drug trafficking and hopefully make a drug habit less affordable and accessible. What’s the case for legalizing drugs? Given the concerns about the illicit drug market as a source of revenue for violent drug cartels, some advocates call for outright legalization of drug use, possession, distribution, and sales. Exactly what legalization entails, however, can vary. Drug policy experts point out that there are several ways to legalize a drug. For example, in a January 2015 report about marijuana legalization for the Vermont legislature, some of the nation’s top drug policy experts outlined several alternatives, including allowing possession and growing but not sales (like DC), allowing distribution only within small private clubs, or having the state government operate the supply chain and sell pot. The report particularly favors a state-run monopoly for marijuana production and sales to help eliminate the black market and produce the best public health outcomes, since regulators could directly control prices and who buys pot. Previous research found that states that maintained a government-operated monopoly for alcohol kept prices higher, reduced access to youth, and reduced overall levels of use — all benefits to public health. A similar model could be applied to other drugs. There are other options. Governments could spend much, much more on prevention and treatment programs alongside legalization to deal with a potential wave of new drug users. 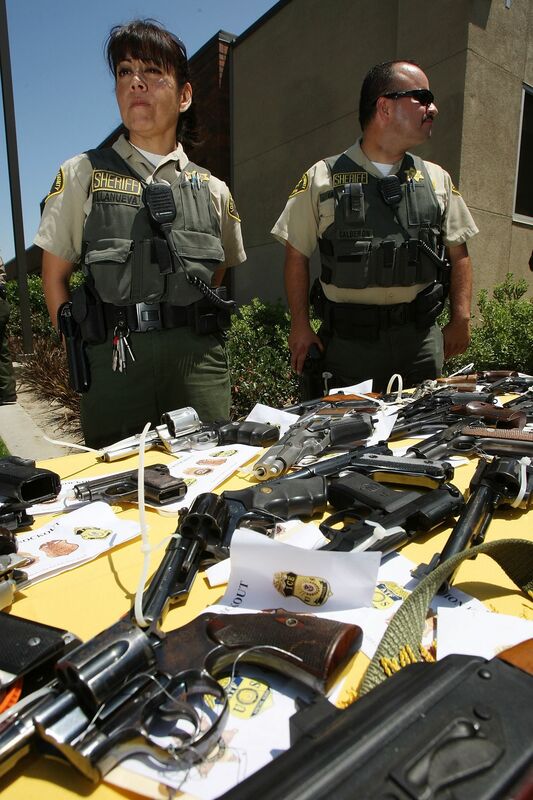 They could require and regulate licenses to buy drugs, as some states do with guns. Or they could limit drug use to special facilities, like supervised heroin-injection sites or special facilities in which people can legally use psychedelics. But Jeffrey Miron, an economist at Harvard University and the libertarian Cato Institute, supports full legalization, even it means the commercialization of drugs that are currently illegal. This, he said, is the only complete answer to eliminating the black market as a source of revenue for violent criminal groups. When asked about full legalization, Mark Kleiman, a drug policy expert who supports decriminalization, pushed back against the concept. He said full legalization could foster and encourage more problem drug users. For-profit drug businesses, just like alcohol and tobacco companies, would prefer heavy users, because the heavy users tend to buy way more of their product. In Colorado’s legal marijuana market, for example, the heaviest 30 percent of users make up nearly 90 percent of demand for pot. “They are an industry with a set of objectives that flatly contradicts public interest,” Kleiman said. Kleiman argued the alcohol model has clear pitfalls. Alcohol still causes health problems that kill tens of thousands each year, it’s often linked to violent crime, and some experts consider it one of the most dangerous drugs. Still, some evidence suggests the alcohol model could be adjusted to reduce its issues. In a big review of the evidence, Alexander Wagenaar, Amy Tobler, and Kelli Komro concluded that increasing alcohol taxes — and, as a result, getting people to drink less alcohol — would significantly reduce violence, crime, and other negative repercussions of alcohol use.